Canceled 2/5/2109 due to snow. Unity’s Healing Ministry facilitates and supports the emergence and acceptance of wholeness, the divine nature of all. The Healing Service opens with prayer and includes the sounds of our singing bowl. The healing facilitators for that day stand behind their chairs in the inner circle. When a recipient is ready, the person will choose an open chair and sit down to receive a 10-minute personal healing session. The healing facilitator may privately ask the person if there is a specific healing need. 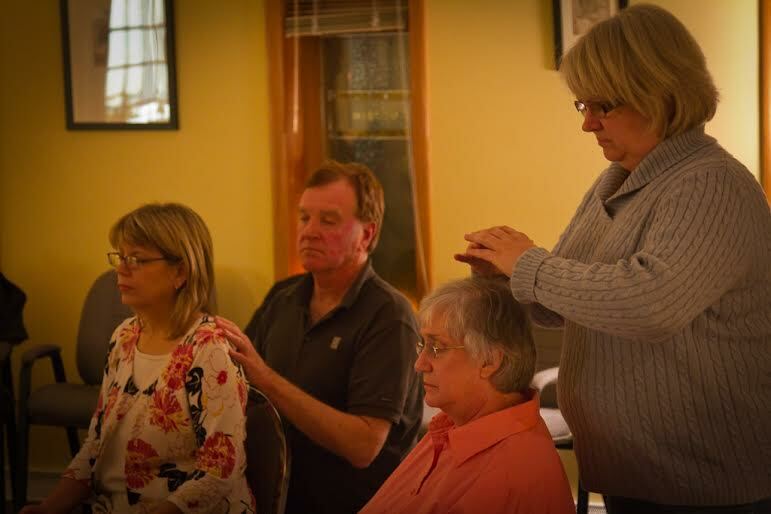 During the healing sessions, all participants at the service support the healing and wellness intention through meditation. Everyone is invited to remain for the entire service, even after receiving a private healing session, holding all in a vision of wholeness.